I had my wedding party in the barn. The venue was perfect. The staff were lovely & the manager was very accommodating. It made our day absolutely perfect. The chef has paid real attention to the quality of both the meat and vegetables. They were cooked with care. This is what Sunday lunch is all about! I visited The Pinkneys Arms last week after hearing great reviews from friends in the area. I wasn't disappointed!! Definitely will return, probably on a Sunday with the family. Highly recommended. The whole meal was excellent. I can honestly say it is probably the best lamb I have ever had in my 71 years, and I've had plenty in that time! Cosy, welcoming and unpretentious on entering. If you know your wine then it’s a real treat. I will be returning with new guests confident that they will enjoy this place as much as we did. 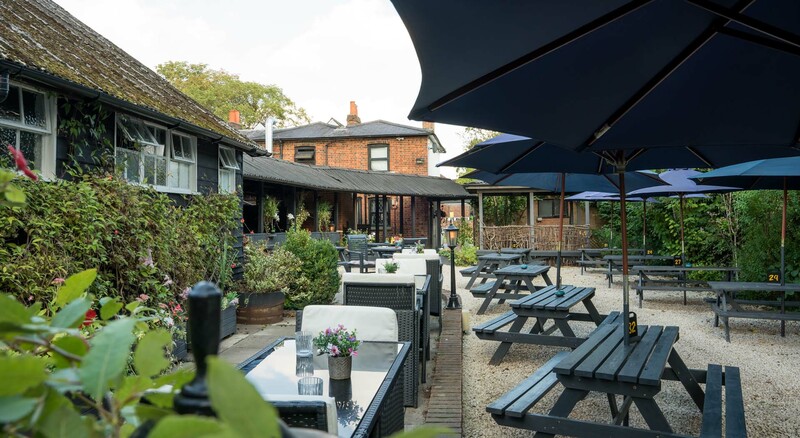 We are a small, independently run free-house, nestled in the heart of the village of Pinkneys Green, on the outskirts of Maidenhead. We are 4 miles equidistant to the M4 and M40 and just a short drive from Cookham, Marlow and Henley- on-Thames. We’re also only 40 minutes’ drive from London! We are surrounded by National Trust land and welcome dogs and their owners. We’d love to invite you to join us for a traditional English country pub experience!